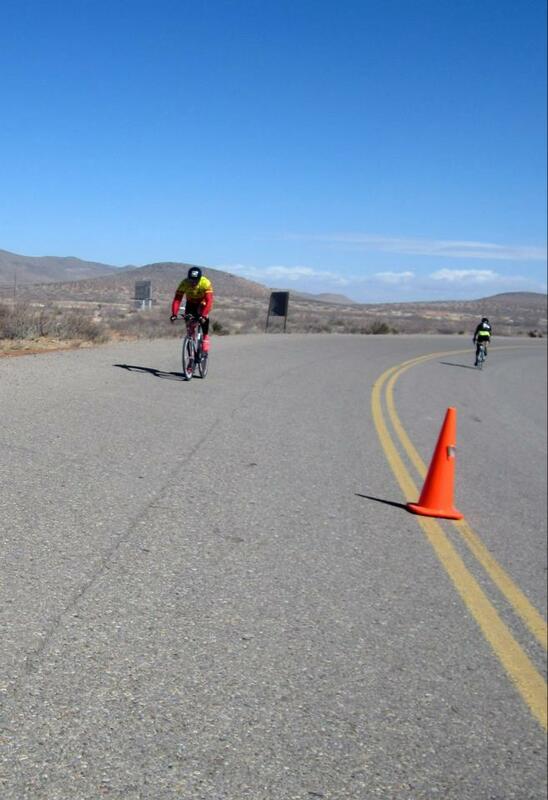 Every year Las Cruces (and the Zia Velo team) hosts the Trifecta Omnium race for the NMRS series. It starts the season off with some good grudge matches and gets the legs all warmed up for the road series ahead. 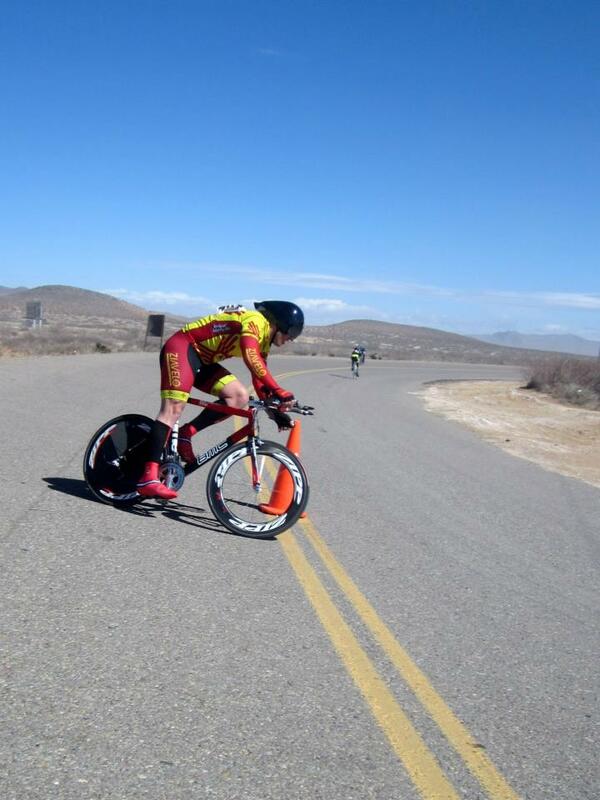 The first day consists of a Time Trial that is 20k and takes place out by the Las Cruces airport. The picture above shows the road they take out and the turnaround point. I was lucky enough to be the volunteer at this point, so I was able to see the action! Don’t let the bright sun deceive you, Las Cruces had to show its “true colors” when it comes to the month of March. Even though we are told we have one of the best weather places in the country, the only draw back is the wind. These poor riders were fighting off 50 mph winds! This is a picture of Mike coming up on the turn. He thought he was doing terrible because of his time coming up the road with the wind, but on the way back he was able to have the wind in his favor. He podiumed for this race! He was able to get third place out of 35 riders in his category! I am so proud of him! If you recall our previous post on long-term goals, one of Mike’s goals was to podium on the Trifecta TT. We weren’t able to get any pictures of the Criterium race (where they lap for a half an hour) because they had to cancel it because of the weather. It is usually held the same day of the time trial. The next day the Zia Velo crew headed up to Hillsboro to race in the road race. Hillsboro is located about an hour and a half from town. The weather was beautiful and there was a lot of hill climbing. Mike was able to stay with the pack and even made it to the final sprint! He launched his team mate Phil Simpson to win second place! Overall, Zia Velo did an awesome job representing! This entry was posted in 2013 Races, Mountain and Road Biking by thefasteryoupedal. Bookmark the permalink.